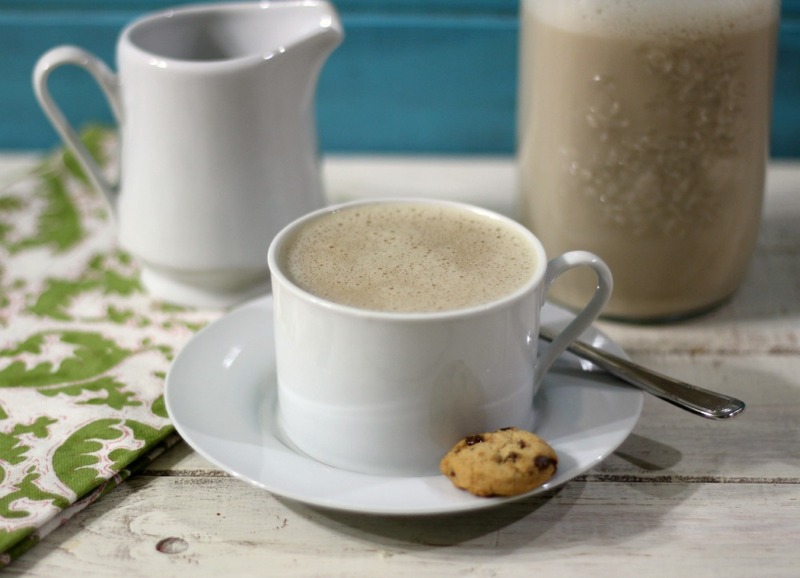 Back in February I posted a recipe for Vanilla Coffee Creamer, which I just love and you asked if I could make a non-dairy coffee creamer. I thought, how can I do it? 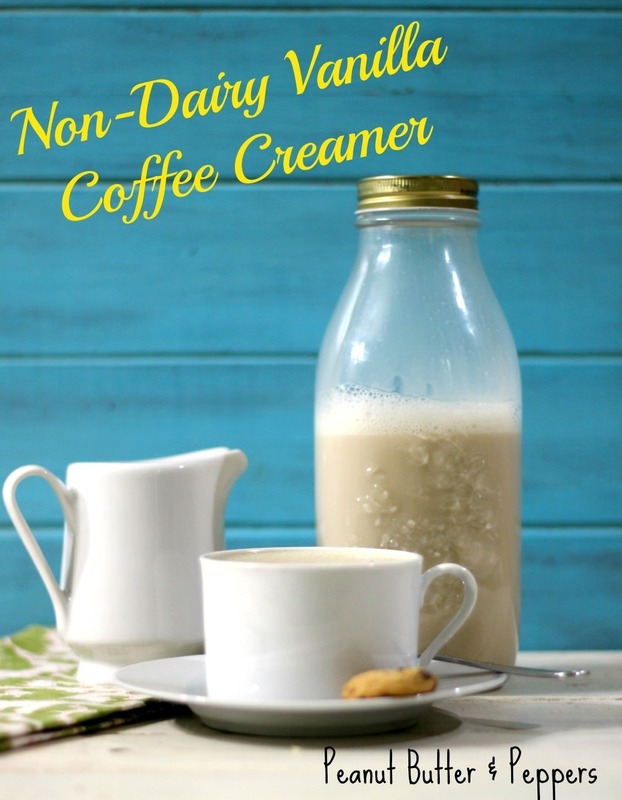 After some playing around, I found the perfect Non-Dairy Vanilla Coffee Creamer. The Non-Dairy Vanilla Coffee Creamer came out just perfect! At first I wasn’t sure because I was used to my dairy coffee creamer which I have been making weekly. 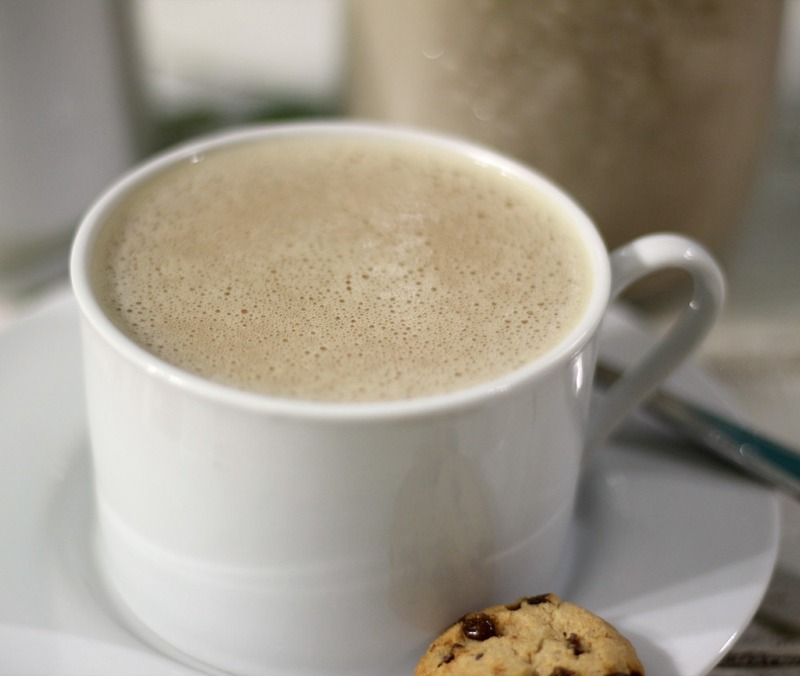 The Non-Dairy Creamer is creamy, frothy with the perfect amount of vanilla. I was pleasantly surprised on how much I love it! Now this will be my weekly coffee creamer because it’s super creamy, adds that bit of froth to my coffee and it’s only 21 calories for two tablespoons. What’s not to like? I made the creamer using all Trader Joe’s Ingredients, light coconut milk from a can, unsweetened coconut milk from the carton, sugar and vanilla. It’s so easy to make too. I tried the recipe with almond milk and if you’re a fan of almond milk I highly recommend using that, by switching out the coconut milk from the carton and subbing unsweetened almond milk. I am not the biggest almond milk fan, but I am trying hard to get used to it. As for sugar, I went with granulated sugar, since I didn’t want to add other flavors to the coffee, I wanted pure vanilla flavor. However, you can always use honey or maple syrup. There are so many options, it’s up to you to what you like. Your probably wondering about the coconut taste. You get a slight hint of coconut, but I used three tablespoons of vanilla extract to mask the coconut flavor. I am a big fan of coconut, so it didn’t bother me and I really didn’t taste it, but if your coconut sensitive you may want to opt in for almond milk instead. I also recommend shaking the creamer before using. Due to the fact that there is coconut fat in the creamer, it can separate just a tad bit, but not much. No mater what kind of coffee creamer I use, I always shake it anyway! 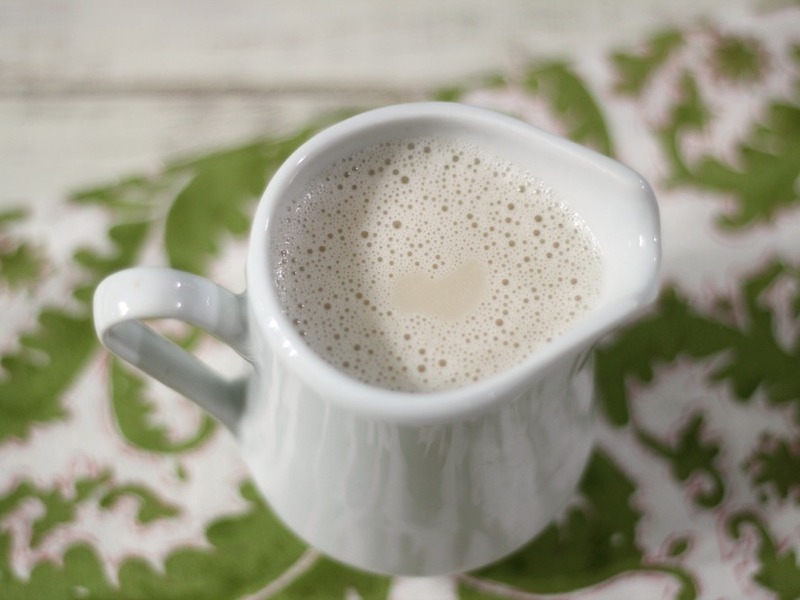 A creamy thick, non-dairy creamer with the perfect vanilla flavor made from coconut milk. Only 21 calories for two tablespoons. In a medium pot, set over medium heat, add light coconut milk, unsweetened coconut milk and sugar. Stir constantly until sugar is dissolved and bubbles start to appear on the sides(Don't boil). Whisk in vanilla extract and cook for two minutes more. Let creamer cool completely, than store in a glass container in the refrigerator for about a week. Shake before using. Note: You can always sub unsweetened almond milk for coconut milk from the carton. 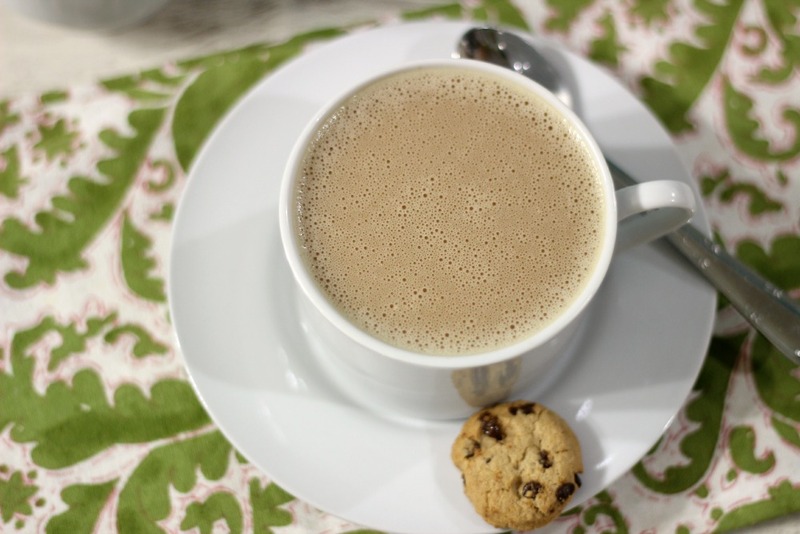 I am really happy with the outcome of my non-dairy creamer and I think you will be too! I am tickled pink that I can save money, and have a healthier coffee creamer that doesn’t contain weird ingredients or trans fat. yum! this looks fantastic! i’m a huge fan of vanilla flavored creamers!! I can’t wait to give this a try! I love both almond and coconut milk. Why did you use the carton milk and the canned? Just curious. Hi Kim, I went with canned and carton coconut milk because the canned coconut is much thicker, but because of high calories (170 for canned per 1/3 cup and 50 calories a cup for carton) and to thin it out a bit, I also used coconut milk from the carton. You get more coffee creamer and less calories, plus you still get a nice thickness to it. 4 cups of coffee creamer in a week? No way could i use it all. Can you come up with a recipe to use some of it? Maybe an icecream, pudding, or another of your innovative ideas? Hi Carol! I am coffee crazy, so yes I can go through 4 cups in a week, sad but true. You could also use the leftover creamer, as you said in ice cream, but you could use a little in your smoothies, or oatmeal, ohh, baked oatmeal, hmmmm, what else? I love that you suggested pudding or ice cream. I’ll have to play around with the idea. You could use it in any baking recipe that requires half & half and vanilla extract together. You got me thinking…. This is a must try. I have to kick the purchased creamer I’m using presently. Thank you Chris!! Hope you like it! This is great! I just made it, and it turned out creamy and just the right amount of sweetness. Do you think it would freeze well? I’m afraid I won’t use all of it before it goes bad. Hi Margaret, I am not sure. You could give it a try. If you do. let me know how it turns out. Sorry it took me so long to get back to you, but I did successfully freeze this. It separated when it thawed, but I just gave it a good shake and it was fine. Thanks for the great recipe! Awesome Margaret! Thank you so much for telling me. This is good to know! This is truly a marvelous recipe! Thanks for helping these coffee addicts quell their dairy consumption without sacrificing flavor or ingredient integrity. Thank you so much Deliah! Shake it good! It will come together. When I put the creamer in my coffee it was separated. I did shake it before putting it in. Just made your creamer with almond milk and canned cocoanut milk. I used half the vanilla for my preference and used 2 cups of the batch to make chia seed pudding. Ohh yum! I love the combo you used Deb! Plus what a great idea to use it in Chia Pudding. I have to try that! 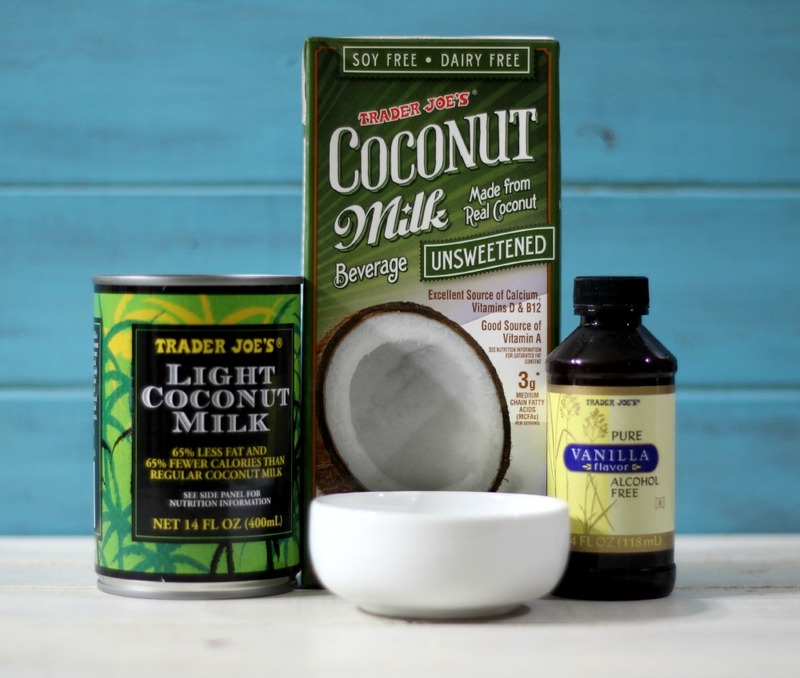 I’m curious about the coconut milk…. I like coconut, but am afraid of trying creamer recipes with it due to not wanting that taste in my coffee…. is there a coconut flavor to the creamer once it’s made? Same non-coconut flavor results with the can too? Hi Cara, Don’t use coconut from a can. It will turn out to fatty and greasy and you will have a coconut flavor. Plus the calories would be through the roof. I don’t recommend coconut from the can. I’m trying this Recipe for the first time. Where can I buy one of those glass bottles to keep it in? Hi Dorothy, I think I bought the bottle at Cost Plus World Market or Crate and Barrel, I can’t recall. Both stores should carry it. I would say about a week or a pinch more. Just give it a good shake before using it. Enjoy!